If I'm being honest, I read this book purely to get it out of the way. I had gone through the first two books in the trilogy, and while I wasn't head over heels in love with them, I was interested enough to want to see how things ended up. I didn't want to risk forgetting the details of the first two installments, so I decided to read this book, even though I had several things on my to-read list that I would rather be exploring. That said, I am glad I made the decision to finish this trilogy, because this installment is by far the best of the three. Ana finally broke through for me as a likable and intelligent MC. Until now, she always frustrated me, but in this novel she finds herself and begins to have an identity I can appreciate and respect. 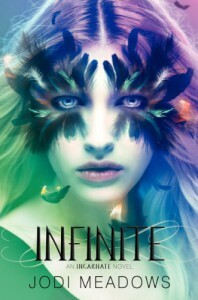 I never had a desire to be friends with Ana after reading Incarnate or Asunder, but I did after reading Infinite. As for Sam, he was frustrating to me in every single book of this series, and even though he grew on me after reading this novel and Phoenix Overture, he is probably the primary reason why my overall love for this series is not higher. That said, if you are a fan of YA, I definitely suggest reading these books. They offer a fascinating look at identity, life and death, and the way our relationships with others defines who we become. 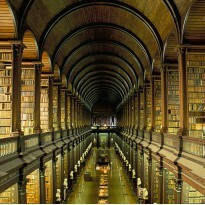 If you are a fan of dystopian/paranormal type things, I think you will enjoy these. They aren't my favorite books, but they are a very entertaining and well-written read.